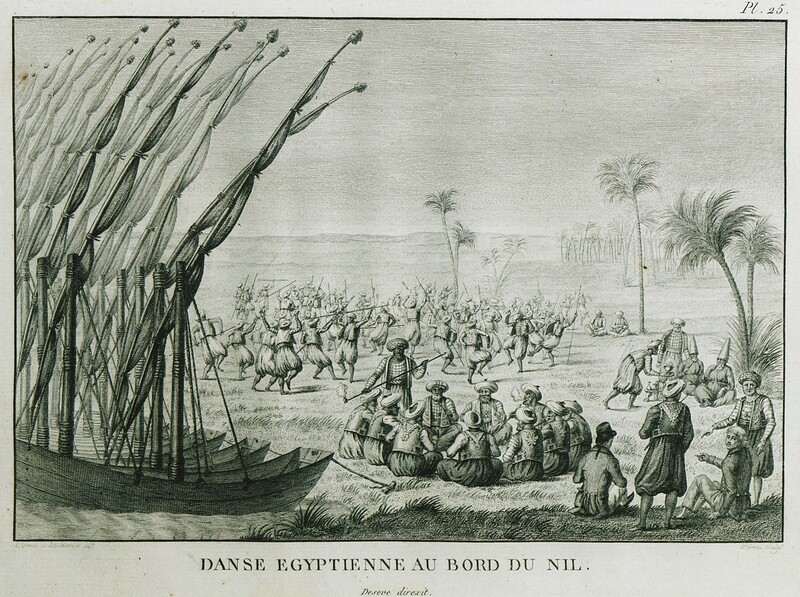 Dance on the west bank of the Nile. On the foreground, two French travellers. 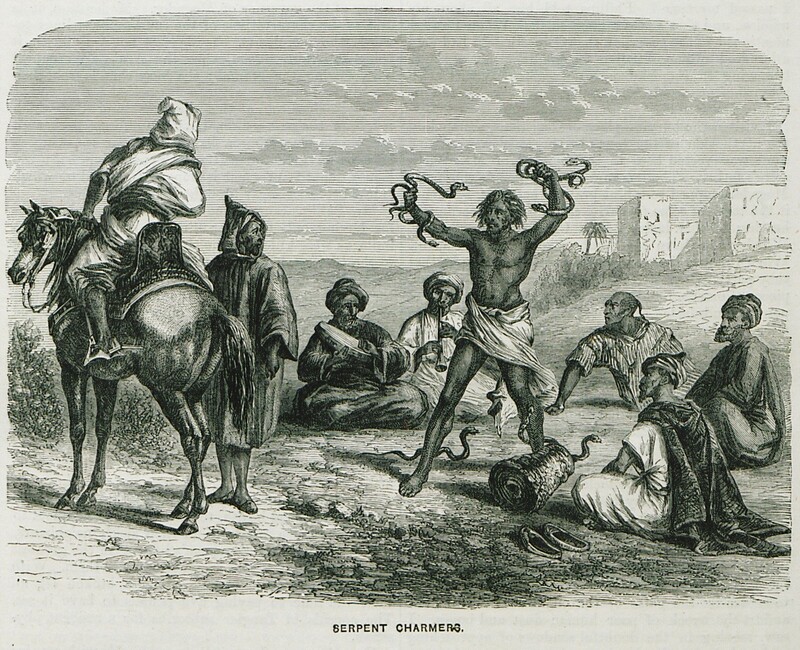 The governors of the small vessels are smoking and drinking coffee while sitting on the ground, as are doing two dervishes and their servants farther away. According to Olivier's description, the scene depicts Egyptians dancing a war dance and a more sensual dance. 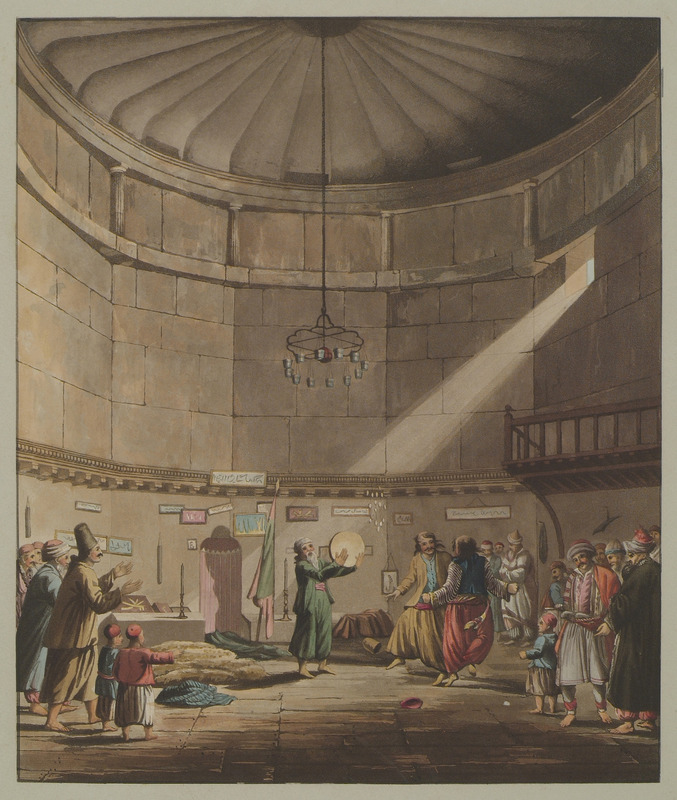 Gathering of devout Muslims at the Tower of the Winds in Athens, which was used as a tekije (dervish lodge). Sixteen ostrich eggs hang from the ceiling to avert the evil eye. 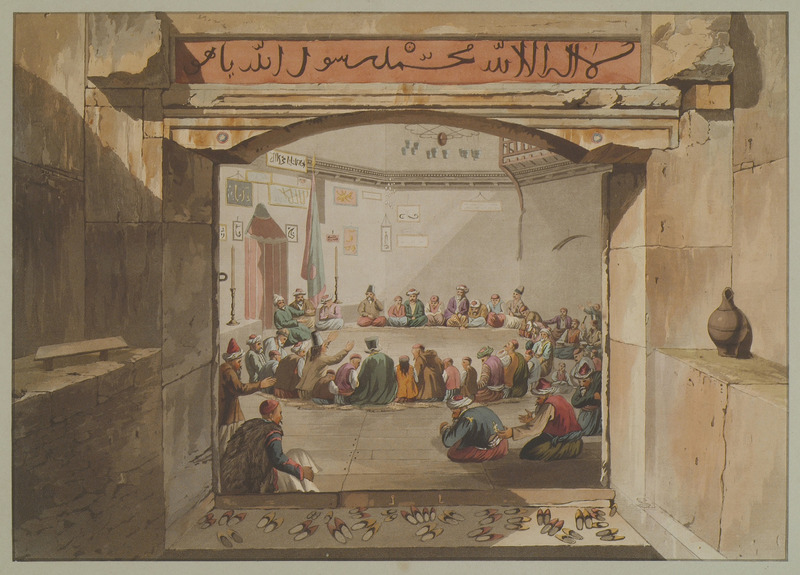 A depiction of the first stage of the whirling dervishes' ritual: the faithful praise God and Prophet Muhammad. 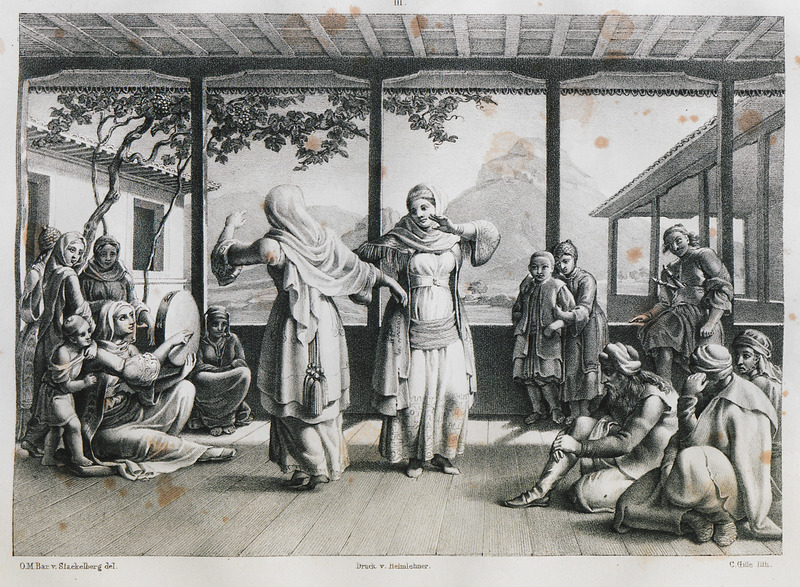 The dance of the dervishes at the Tower of the Winds in Athens, which was used as a tekije (dervish lodge). Sixteen ostrich eggs hang from the ceiling to avert the evil eye. A depiction of the final stage of the whirling dervishes' ritual: The two main dancers whirl while holding each other by the sash. In green, wearing a white turban, the Sheich or head of the Dervishes, who animates the dancers with his voice and by playing the tambour.